"Change in the world comes from a place like this." 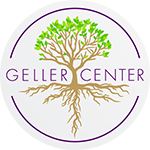 For over 50 years, the Geller Center has been a place to cultivate social change, personal growth, and community. In 2006, the organization’s name changed from the United Campus Ministry to the Geller Center to honor Bob Geller, chaplain of the organization for over 40 years and cherished community leader. While the mission and programs have changed over the years, the Geller Center has always been a welcoming place for young adults of all faiths and backgrounds. We center a positive youth development approach that views adolescents as resources. We aim to support youth in growing into adults who contribute to the betterment of their communities. Our approach includes whole person development, leadership skill development, and relationship building. Young adults can engage at all levels, from participating in a conversation to organizing community-wide actions. Geller participants are community members of all ages who attend events, workshops, and guest speakers. Programs for participants aim to enrch the experience of emerging leaders. Programming topics may include communication, facilitation, social justice, community engagement, faith and spirituality, and more. Associates volunteer for various one-time Geller Center offerings, such as facilitating Food 4 Thought, cooking, event hosting, etc. Associates may participate in weekly leadership gatherings with trainings, guest speakers, community outings, and personal growth activities. Associates chose their own level of commitment.